Cut the spaghetti squash in half and seed. Season the cut sides with salt and pepper. 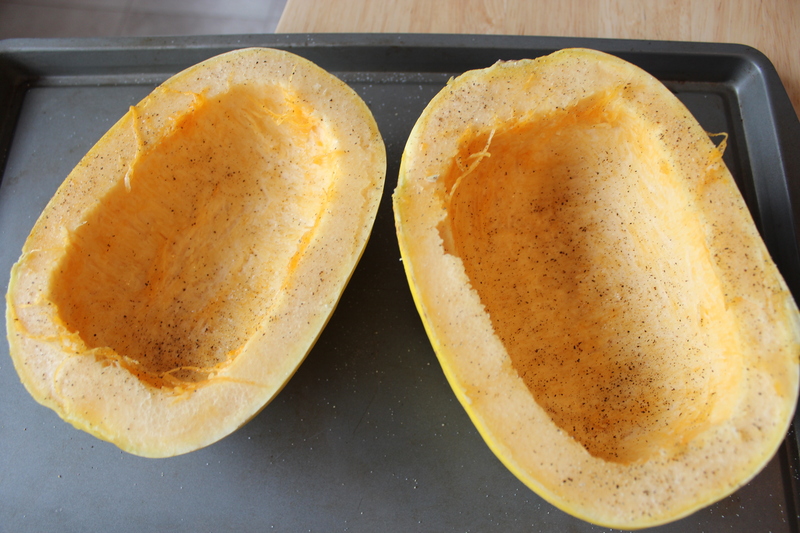 Place the squash, cut side down, on a baking sheet, add a half to 1 cup of water(depending on the size of your baking sheet), and bake them for 45-55 minutes, or until the squash is very tender (it is finished when it can be easily pricked with a knife or fork). 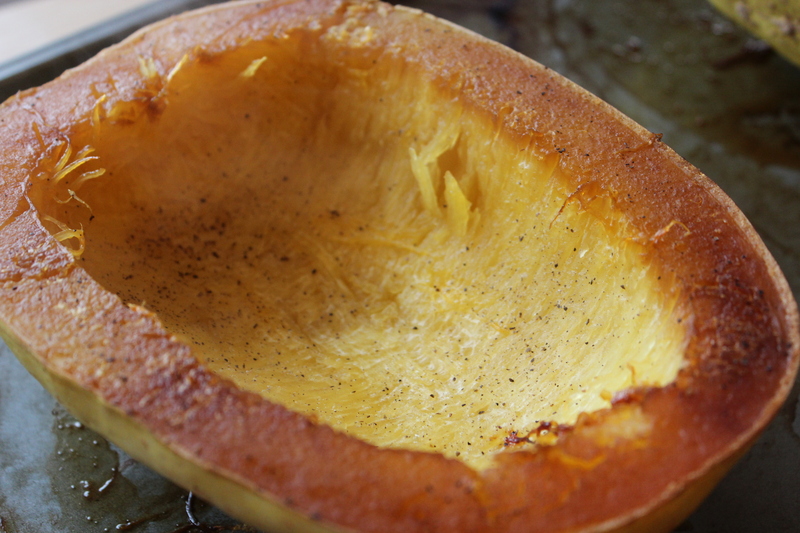 While the squash is baking, place the onion in a large saucepan and saute over medium heat for about 5-6 minutes. Add 1-2 tablespoons of water at a time to keep the onion from sticking to the pan. Next, add the garlic, crushed red pepper, tomato paste, cumin, and 1/2 cup of vegetable broth and cook for 5 minutes. Then, using an immersion blender, blend the mixture until smooth. Add the chopped spinach and mix until it wilts and mixes with the sauce. Once the spaghetti squash has finished cooking, take it out of the oven and scoop the insides out with a large spoon(it should come away looking like noodles). Divide the Baked spaghetti squash into to four servings, and top with sauce. Garnish with parsley. This recipe for spaghetti squash will serve 2 as a main dish or 4 as a side dish. 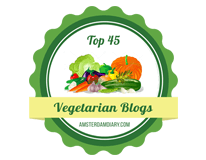 It goes great with a leafy green salad and a slice of whole grain bread. I love spaghetti squash. It’s the healthy pasta! Thanks for sharing.